In July & August 2017, members of the 'Mostly Books' team were quizzed about all things books. 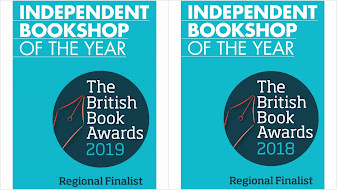 They talked about what it's like to work in a bookshop, which books they enjoy and also provided a bit of background about themselves. 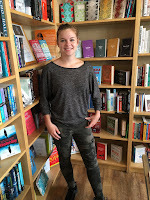 The Mostly Books team has a new addition for the month of August - Jenny Kapellari- who is with us as part of an ERASMUS placement scheme organised by John Mason School. I started working here on 30th July and I will stay until the end of August. My favourite genre is fantasy, because it is an awesome opportunity to relax from the reality. It takes you to places you have never been before. 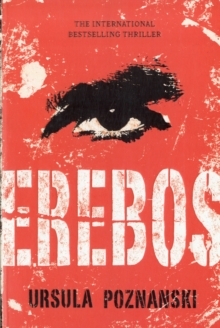 It is hard to choose one as my favourite book, but I think it would be “Erebos” by Ursula Poznanski. 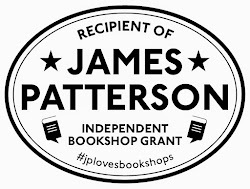 What’s your favourite thing about working at Mostly Books? I think that the atmosphere in Mostly Books is very special. It just keeps you calm even on stressful days and it is always a pleasure to talk to the customers. Of course, the team is lovely, and I appreciate that I can learn more and more every day. What upcoming book are you most excited about? I am not really the person who waits for a book to be published but looking through little bookshops like Mostly Books. What are your main responsibilities in Mostly Books? Since I am an intern, Sarah tries to give me an idea of everything what is going on in the shop. So, I am doing anything what is coming up. I love travelling around the world and explore different countries and cultures, but I also enjoy listening to music or reading a good book at home. I used to dye my hair in nearly every colour of the rainbow: red, blue, green, violet and pink. Thanks Jenny, it's been good to chat! 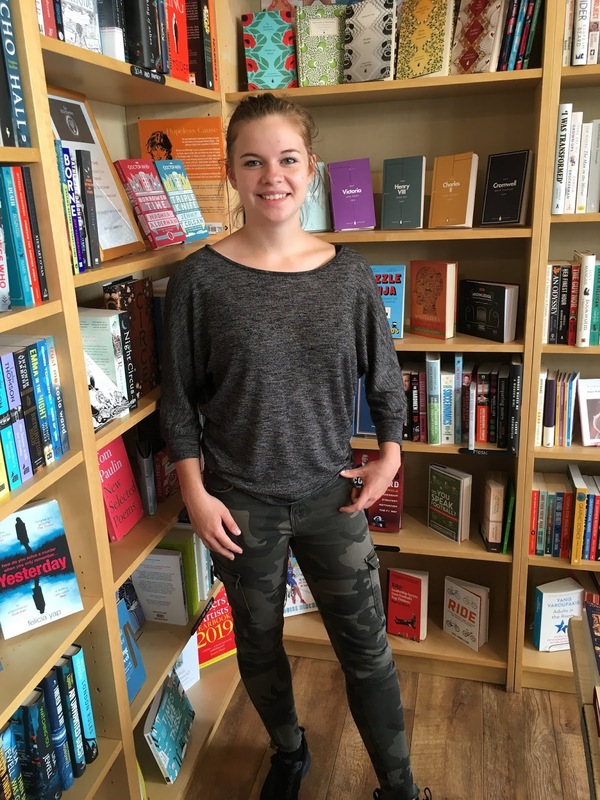 You will find Jenny in Mostly Books from Monday to Friday until 24th August.